You’ll spot everyone from Seventh Avenue heavyweights shopping for ideas (and vintage Pucci) to hipsters snapping up fur coats and antique textiles. ... They said it's where rich fancy ladies sell their wardrobe. It's also where poor fancy ladies buy their wardrobe. Listen, you flunk one category, you make the other. On Saturday afternoon, Free NYC recommends the NYC Parks Department annual Winter Jam NYC. held this year at East River Park and not in Central Park as it has in previous years. 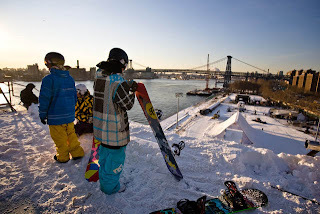 Winter Jam NYC will feature a 70-foot long Snow Flume for sledding, a professional snowboarding competition on a 90-foot tall Snowscraper structure, a winter snowfield with snowshoeing and cross-country skiing, a snow sculpture contest, a Warming Hut with free samples from NY State farmers and producers, performances from the high flying Skyriders, live music from artists such as Apollo Run and Dujeous, and plenty of fun activities for all ages! Winter Jam '09 is FREE, and all winter sports equipment will be provided, including tubes for sledding, snow shoes, and cross-country skis. Manhattan should be a pretty safe place for a few days, considering the world's top superheroes will be in town for New York Comic Con. Along with costumed caped crusaders, "Buffy The Vampire Slayer" creator Joss Whedon and legendary Marvel writer Stan Lee join hundreds of vendors who will be selling all things geeky. On Roosevelt Island this weekend, the Farmers Market will be open as usual on Saturday as is Gallery RIVAA, the Roosevelt Island Visual Arts Association which is exhibiting a new show, Emergence by Bogdan Borgovan. Also, RIOC has produced a great self guided tour map (PDF File) of Roosevelt Island for any visitor or resident looking to stroll the Island and learn something more about it. Urban America Charging Eastwood/Roosevelt Landings Residents Up To $1000 In Monthly Submetered Electric Bills - Can That Be Right? In 2007, during the height of the commercial real estate bubble, the NY Observer reported that Urban America, together with the Fisher Brothers and the City Investment Fund, purchased a portfolio of formerly Mitchell-Lama subsidized building for $940 million dollars. Included in this portfolio was the Roosevelt Island Eastwood building which Urban America purchased for $189 million (according to the NY Observer) and renamed Roosevelt Landings. At the time, many of the residents of these buildings as well as local political representatives such as Assembly Member Micah Kellner, expressed great concern and worry that the need to recoup the new owners investments would soon make these buildings unaffordable to the people who have lived in their apartment for many years, particularly since NY State and City pension fund money was used to fund the portfolio's purchase. Another concern of the Eastwood/Roosevelt Landings residents, as well as Assembly Member Kellner, State Senator Serrano and Council Member Jessica Lappin expressed in this excerpt from a letter sent to Urban America by Roosevelt Island's elected representatives, has been the plan by Urban America to install electric submetering for the building. As elected officials representing Roosevelt Island, we write to express our strong concern with the plan set forth by Urban American to begin submetering of the electricity at the Eastwood housing complex. While we understand that submetering can promote more efficient use of energy in residential buildings, we believe that given the particular circumstances at Eastwood, going forward with submetering at this time would expose tenants there to an unacceptable degree of risk. ... We are particularly concerned because the building is old, poorly insulated, and its heating system is electric. Many of its residents are seniors and people with disabilities, on fixed incomes, who often spend a great deal of time at home in their apartments. The transition to submetering raises the prospect that these tenants will be unable to afford to heat their own apartments. Subsidized, elderly and physically challenged tenants of Roosevelt Landings didn’t sleep well last night. They’re petrified that they will lose their homes! Newly sub-metered, last night 1,003 families, most of them subsidized and low income, received their first sample electric bill for their apartments. The stipend DHCR provided, to cover those costs, barely pays a fraction of their bill- many of which exceeded $1,000. Bills of $500 and $600 were common for 2 bedroom apartments, while the stipend provides only $149 for those units. 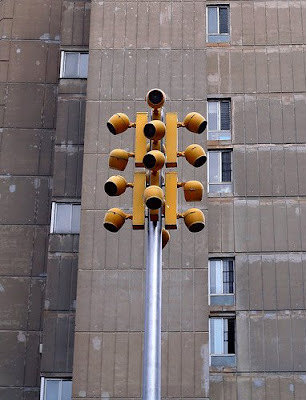 The landlord, the Eisenberg family, owners of Urban American, as well as the City Investment Fund, and the former owner, Jerome Belson, allowed the building to waste electricity for years. Instead of curbing the flow of electricity that coursed non-stop through inefficient baseboard heaters, whose effects were mitigated by poorly insulated walls, the owners turned to the State of New York’s sub-metering mandate to foist their appliances’ excesses onto the backs of their tenants. For their own electric usage, the owners cut the heaters in the hallways off years ago, forcing tenants to walk through cold passages, and creating cold common walls that tenants have to shoulder the cost of heating on the inside. The owners evade “energy efficiency” by re-circulating old, out-dated appliances without energy-star ratings and flaunt the spirit of conservation by palming off the costs for their failure onto tenants who can ill afford the expense and have no say in the maintenance or replacement of the equipment. Adding insult to injury, for many tenants, the landlord, whose property is located on NY State land and provides homes to economically disadvantaged tenants, has never applied for the New York Power Authority (NYPA) discounted electric rate that was extended to the Gristedes Grocery located just steps down their street. The building exited from the Mitchell Lama system in 2005. Part of a portfolio of 6 buildings, Morgan Stanley and City Controller, Bill Thompson were responsible for landing the buildings into the hands of several state and city pension funds, including the pensions of NY State and NY City. Originally sold for approximately $300 million, the portfolio was purchased by its current owners for just short of one billion dollars barely 1 year later. The landlord has applied to sub-meter 5 of the 6 properties. Tenants in the portfolio buildings, 3333 Broadway, Schomburg Plaza, Metro North, Roosevelt Landings and UPACA I and II, with over 4,000 units located both on Roosevelt Island and in Harlem, suspect that a “predatory equity” situation exists in their buildings. Because of the considerable increase in the debt service for their building’s FNMA financing, and based on what they project to be the building’s operating expenses and income, it is uncertain how the buildings can be carried without eroding reserves and possibly going into default. In a meeting last week between tenant representatives, Dina Levy of the Urban Homesteading Assistance Board, (UHAB), and Douglas Eisenberg, speaking for the owners, Mr. Eisenberg refused to provide a statement of financial condition that would put tenants’ minds at ease. The fact that the landlord has taken the extreme measure to dump their electric load onto the backs of its tenants without replacing the out-dated electric heaters or conducting an engineering study to determine the possible problems with the building’s electric consumption, adds to their concerns. Geraldine Gauthier of the Public Utilities Law Project (PULP) indicates that the state legislation the landlord is acting under was put into effect to cut consumer consumption by 23%. Even employing the most arduous steps, it is unlikely that the tenants of Roosevelt Landings could possibly reign-in their consumption to comply with their stipends. Ms. Gauthier is immediately responding to NY States’ review of the process to implement sub-metering in multiple dwellings that is currently being conducted in a 4-year plan for all multiple dwellings through the Public Service Commission. There will be an emergency meeting of the Roosevelt Landings Residents Association on Saturday February 7, 2PM at the Good Shepherd Community Center. The Residents Association asks that you bring your sample electric bill and write the number of bedrooms in your apartment and whether you face north or south and where in the corridor your apartment is situated. ... Douglas F. Eisenberg, the chief operating officer for Urban American, which owns Roosevelt Landings, said the sample bills allowed residents to see how much electricity they were using and to make adjustments. Tenants’ bills varied widely. For three-bedroom apartments, they ranged from $79.26 to $1,050.43, and for four-bedrooms from $147.97 to $974.11. Mr. Eisenberg said the readings were accurate, and added that if tenants had concerns about faulty heaters, the management was eager to correct the problem. “I assure you that this office is pretty responsive,” he said. According to the article in the NY Times from Feb 8th the electricity charge varied quite a bit. $80-$1050 for 3BR apts and $150-$975 for 4BR apts for example. I am sorry, but this really looks like this is a matter of attitude and habit adjustment. Time to wear those sweaters and sweat pants at home now. Like pretty much everybody else in this country. I was shocked when I walked into the Good Shepherd Community Center lower level room last night for the monthly Roosevelt Island Residents Association (RIRA) Common Council meeting to discover it was packed with people, standing room only. 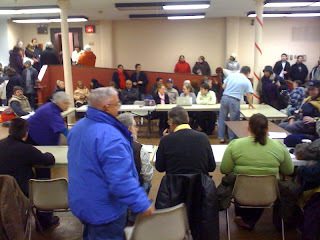 I soon learned the reason for the large attendance was that many residents of Eastwood (renamed Roosevelt Landings by it's new owners Urban America) were there seeking support from RIRA to protest the incredibly huge sample electricity bills they just received under the new submetering plan for the building. According to some of the Eastwood residents, monthly electricity bills are as high as $1, 000 (that is not a typo) for a 3 bedroom apartment and $500-600 for a two bedroom apartment. Eastwood/Roosevelt Landings residents were urged to attend this meeting. A donation so that RLRA can shoulder the costs to fight this fight! A representative of Assembly Member Kellner's office was in attendance and urged all residents to stick together, collect information about their electricity bills and make sure that Mr. Kellner receives the collected information. I am deeply disturbed by the sample utility bill that I received recently for the month of December 2008 in the amount of $476. The amount in particular has shocked me, and I feel that I have to address certain concerns I have with my apartment. My first concern is the efficiency of the insulation of the new windows installed last fall. 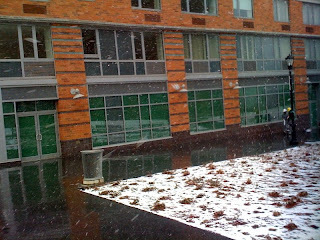 Although I submitted the form for winterization, as requested, the maintenance staff never performed that task. The baseboard electric heaters, installed some thirty years ago, are not energy-efficient and need to be replaced. In addition, the heaters do not have any sensors, are running all day, and overheat. My refrigerator, which has been in place for at least the ten years of my tenancy, is not energy-efficient and likewise needs to be replaced. The milk freezes and the ice cream melts. While I am writing this letter, let me also mention my concerns with the continuously dripping bathtub, which Maintenance has yet to repair. Grout is heavily missing in the shower, something Maintenance has yet to repair. Newly installed kitchen cabinets have gaps at the floor, leading to unsanitary condition, an issue maintenance has yet to address. In addition, one of the kitchen cabinets cannot open due to wrong measurement. Furthermore, I wish to bring to your attention the cockroach situation in the bathroom, which Maintenance has yet to address. There continues to be a pigeon infestation in the air conditioning unit. This has been going on for two years now, and although Maintenance has addressed this, the pigeons are still there. The doorbell is not working. Finally, I wish to complain that when I tipped the maintenance staff to carefully remove a heavy file cabinet so as to not scratch the floor, they simply dragged it while I was gone, thus scratching my floor. I would like to know what Housing Management can do to resolve these issues. 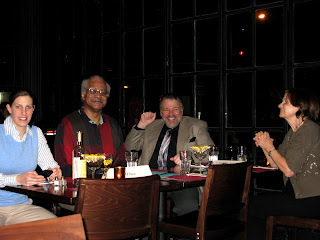 On January 26th, Roosevelt Island Toastmasters gathered at Ion's Corner Cafe at Vernon Blvd and 36th Avenue. We meet twice a month for our regular meetings, and twice a year we gather for a dinner party. This was our winter party. It was a very pleasant evening, with lots of catching up, since many of the guests were old friends and some were former-members of our club. Arlene served as the Toastmaster for the evening, graciously hosting and guiding us through a fun exercise. Since we had decided on a "Global" theme, each of our tables took a continent (Europe, Africa, Asia, The Americas) and prepared a short presentation in which every person participated. The presentations were delightful, funny, and lively! There was singing, trivia, and story-telling. The dinner and dessert were lovely too, and I especially enjoyed the polenta with sour cream and the fried-donut with yogurt for dessert. Our next meeting is Monday, February 9th, at 8pm in the Rivercross Community Room. There will be 3 prepared speeches--based on the assignments in the Toastmasters International Competent Communicator Manual. Each speaker will present a speach that utilizes a skill in public-speaking, such as "Organize Your Speech" or "Get Comfortable with Visual Aides." The speech topics get very interesting, because we have a very diverse club. I've heard speeches about Azerbaijan and Fiji, as well as first aide for babies and many other topics. I always learn something new because our members give unique presentations based on their own interests. I have my own business, Atlantico Books, which imports books from Brazil and Portugal for consumers in the USA. Toastmasters has helped me to improve my communication skills and gain confidence when I speak with vendors and clients. If you are curious about Toastmasters what Toastmasters can do for you, please come and visit! I hope to see you soon. Here's how Toastmasters may be able to help you get past the fear of public speaking and improve your business and/or job skills. Starting this coming June, if everything goes according to schedule, Roosevelt Islanders will be able to enjoy what most other NYC neighborhoods take for granted, a friendly local sports bar and grill. The one year old Nonno's Focacceria owners are opening the approximately 3400 square foot Riverbank Bar & Grill in the space next to Duane Reade at Riverwalk's 425 Main Street. The owners say their plan is to create a family friendly Applebees or Friday's type of restaurant with a 30 foot bar and 14 large flat panel television screens. Roosevelt Islanders will soon be able to watch their favorite sporting events or just have a relaxing night out without having to get on the Tram, the subway or trudge over the 36th Avenue Bridge to Queens. An added bonus is that there will also be an adjacent bagel and deli store that will open in the mornings as well. Now, if the Starbucks remains open, Roosevelt Island may be starting to shape up. Please slap me so I know that I am not dreaming. ... The committee had the opportunity to interview two consultants with extensive experience in community development, urban planning and design, Main Street revitalization, preservation, and much more. The committee is in the process of selecting the consultant. Our solution is simple: We lease the commercial space to a master leaseholder who then sublets the individual storefronts. I know of several developers who have expressed interest in the Master Leaseholder concept for the Main Street stores. Why not issue an RFP for a Master Retail leaseholder now instead of waiting months if not years for yet another study or if the governmental bureaucratic process requires a new study, do it simultaneously with the RFP. UPDATE - 5/19 - Construction is still going on at Roosevelt Island's new bar/restaurant/breakfast shop. The owners tell me they hope to be open in Mid June and they have changed their name to the much more appropriate Riverwalk Bar & Grill. Starbucks Announces More Store Closings. What Will Happen To Roosevelt Island Starbucks? The coffee store chain announced on Wednesday that it would close 300 more stores, affecting 6,000 employees, and would lay off 700 employees who don’t work in stores. Starbucks also reduced the number of new company-owned stores it plans to open this year to 310, from 470. ... “Starbucks lost its cultural cache, its value, before everyone became conscious of the economic fallout,” said Bryant Simon, a professor of history and American studies at Temple University who is publishing a book about Starbucks this fall. Customers were deserting Starbucks stores by the beginning of 2007, he said, because its emphasis on frothy, milky, sugary drinks hurt its image as an authentic coffee house. I pray they don’t close, haven’t heard anything. The big question is, why aren’t Roosevelt Islanders doing a better job of patronizing Starbucks? If the store was doing great, we wouldn’t fret every time there are closings announced. Why isn’t there a line out the door? 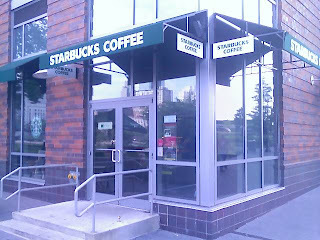 I go to the Roosevelt Island Starbucks often and particularly enjoy their outdoor patio in the nice weather. It would be a real shame if just when the new Riverbank Sports Bar and Grill opens up across the Riverwalk Commons, our Starbucks closes. I just wanted to take a moment to inform you that Officer Jason Guzman of the Public Safety Department has been called to serve by the NYPD. Officer Guzman came to us with experience as a Security Officer who was also an NYPD Auxiliary Police Officer. He served the residents of Roosevelt Island for just under a year, but made his mark as a professional and courteous officer. His work ethic was sensational, and it yielded him a position in the Anti-Crime Unit. PSD's loss is the NYPD's gain, as he has entered the NYPD Police Academy and is doing very well. Officer Guzman has been replaced with Officer David Arroyo. Officer Arroyo brings with him experience in Law Enforcement. He is already a certified Peace Officer who attained NYC Special Patrolman status. He comes to PSD after having worked for the TSA and is looking forward to serving the residents of the island. Congratulations and good luck to Officer Guzman for being accepted into the NYPD and welcome to Roosevelt Island Officer Arroyo. Thank you both for your service! The Roosevelt Island Residents Association (RIRA) Common Council will be meeting on Wednesday, February 4, 8PM at the Good Shepherd Community Center (543 Main Street). Prior to the meeting, time is alloted for any resident to speak before the Council and air their views or issues of concern to Roosevelt Islanders. On January 14 RIRA held a Town Hall meeting to discuss the proposed RIOC budget. RIOC CEO Stephen Shane and RIOC CFO Steven Chironis made presentations and answered questions. Residents asked about budget estimates 10, 15, and 20 years into the future, but learned that RIOC was only willing to prepare 5-year budget estimates, as confirmed by Shane and Chironis. Because of RIOC's significant recent and present spending, residents expressed concern about the long-term financial stability of RIOC. In response to residents' What If questions concerning future RIOC budget shortfalls, Shane said the ground rents might be raised and/or services significantly curtailed. A long-term budget outlook and transparency is essential to the financial health of Roosevelt Island. State Assembly Member Micah Kellner has drafted legislation to mandate RIOC's financial transparency. RIRA has formed a RIOC Budget Analysis subcommittee under its Planning Committee, chaired by Matthew Katz, to provide analysis and insight to Island residents and RIOC Board members. 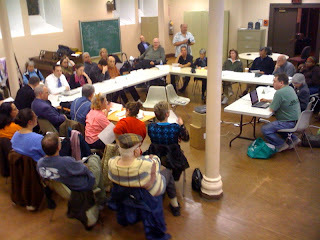 The RIOC Budget Analysis subcommittee expects to make a report at the March 4, 2009 RIRA meeting for endorsement and forwarding to RIOC in time for its March 26, 2009 RIOC Board Meeting. The RIOC Budget Analysis subcommittee includes Frank Farance (RIRA President), Matthew Katz (a former RIRA President), Steve Marcus (a former RIRA President), Margie Smith (Chair of Government Relations Committee), and Russell Fields (RIRA Treasurer). In the realm of "no good deed shall go unpunished", I believe we have extended ourselves in the Budget process for '09/10 to present it early to the Board and the Island residents early in draft stage to make meaningful a comment period before final adoption. We have posted the draft budget on our website as well as making the presentation at both the January Board meeting and a RIRA sponsored community meeting the night before. We have carefully separated the Operating Budget from the Capital Budget. The statement that was made about more than 5 year projections was that the level of uncertainty rises to such an extent that it is virtually worthless to expend the effort. I did indicate that as the provider of essential services, RIOC would have to do whatever it takes to serve the public. No more obvious example of just such an effort is available than the current gyrations of our City, State and Federal governments to meet the present economic condition. Certainly, no one has any interest in punishing your Good Deeds. However, framing your sharing of documents as merely a Good Deed is disingenuous within the context of the current legislative process that will mandate you do so. Furthermore, no right-minded executive manager would accept your premise: the plan might change in the future, thus we cannot plan. Certainly, plans change but that does not stop us from planning. By limiting your perspective to a 5-year horizon, many Island residents believe there is a disaster just beyond the horizon. According to your proposed budget (09-10 proposed budget, PDF page 15), RIOC will spend $41 million this year in capital improvements and another $31 million over the next 4 years for a total of $72 million. Your cash balance in FY 13-14 will be $81 million (PDF page 5), but it might be off by $40 million if Southtown 7-9 aren't built. Putting this into the long term perspective, if RIOC has $41 million in FY13-14 to spend over 54 years (excludes Southtown 7-9 payments), RIOC should be budgeting about $2.4 million a year on capital improvements, not $41 million this year and not $8 million per year thereafter, as presently budgeted by RIOC. It appears that RIOC is spending the Roosevelt Island's Nest Egg and will leave us broke soon. Transparency and sunshine will reveal the true nature and extent of this problem, which is why RIRA is interested in providing its own independent analysis. I cannot understand why you are unsupportive of financial transparency, especially considering the severe negative impact this will have on Roosevelt Island, the quality of life here, and the financial attractiveness for new/current owners and renters alike. 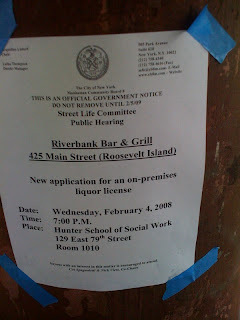 Riverbank Bar & Grill To Open On Roosevelt Island - Our Long Local Dining and Drinking Nightmare May Be Over! At long last, Roosevelt Island's long nightmare is over. After many years of getting on the Tram, the Subway or going to Queens to watch a game or just have a drink with friends at a bar, Roosevelt Islanders are finally going to have our very own Sportsbar and Grill. It will be located in the space adjacent to the Duane Reade in Riverwalk Building #4. 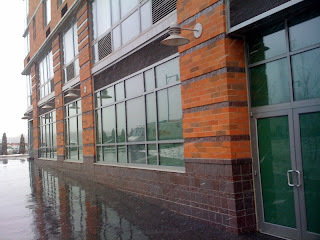 More details to follow on the Riverbank Bar & Grill plus another surprise addition to the Roosevelt Island food scene. 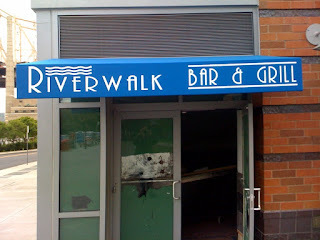 UPDATE - 8/25/09 - Roosevelt Island's renamed new eatery has opened as the Riverwalk Bar & Grill. Senator Serrano Named Chair Of NY Senate Parks Committee - Please Use $4 Million For Kahn/FDR Memorial Boondoggle for Another NYC Neighborhood Park! ... I’m freshly seated as Chair of the Cultural Affairs, Tourism, Parks and Recreation Committee, it’s no wonder I stand in strong opposition to proposed budget cuts that affect, well, all of the above. ... On February 3rd, Assemblymember Steve Englebright and I will convene a Joint Committee Meeting to discuss the proposed budget cuts. In the spirit of legislative reform, we are counting on bipartisan engagement and participation, and – perhaps for the first time in Albany history – soliciting YouTube commentary from organizations across the state. We want to make sure that even if you can’t make the trip to Albany – though carpooling is available! – that your voice will be heard. 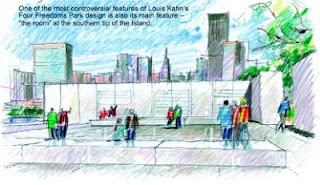 I hope that Senator Serrano uses his Chair position on the Committee to re-examine and stop the allocation of $4 million in NY State Taxpayer funds for the Kahn/FDR Memorial boondoggle proposed for Southpoint Park on Roosevelt Island. The reasons for not providing NY State, as well as City funds, for the Kahn/FDR Memorial are well presented in the statement below from former Roosevelt Island Residents Association (RIRA) President Matt Katz in a letter published in edited form to the NY Times as a response to this article. Like so many others, Gregory Beyer’s article, “As No. 44 Arrives, a Park for No. 32?” fails to account for the 12,000 residents of Roosevelt Island when considering the FDR Memorial. Neither the Franklin and Eleanor Roosevelt Institute (FERI) nor our local politicians have queried these prime users of the Island’s parkland during the thirty-six years this project has hung fire. It required my organization, the Roosevelt Island Residents Association (RIRA) to conduct an independent survey, concluding that at least half of the respondents were opposed to this project. Make no mistake; we are uniform in our wish to honor our island’s namesake. Our objections are aesthetic; the incredible 360° views will be compromised, with our dwindling green space sacrificed to granite and stone. In addition, this project has expanded from a $15 million dollar price tag twenty years ago, to $40 million last year, to the $45 million quoted by Mr. Beyer. When I, as RIRA president, debated FERI’s spokesman, Ambassador vanden Heuvel, a year ago, he assured a community town meeting audience that FERI would walk away should they prove unable to raise the necessary funds within four to five months. They have not done so. We now understand that approximately $16.5 million has been pledged, not raised; some 35-40% of the total required, necessitating a phased construction plan while the additional funds are found. This $4 million could be put to much better use in other neighborhood parks such as McCombs Dam, Mullaley and Tiffany Parks in the Bronx, the Brooklyn Bridge Park, Governors Island, Williamsburg's East River Park, or any of a whole host of parks that are wanted and needed by their respective communities. The Kahn/FDR Memorial is neither wanted nor needed on Roosevelt Island and the political process employed to develop the Memorial may be a violation of the State's Public Authorities Act. Senator Serrano, if you can help re-allocate the $4 million away from the Kahn/FDR Memorial to a park in another neighborhood, you will be doing that neighborhood as well as Roosevelt Island a great public service. A couple of troubling incidents reported to the Roosevelt Island Public Safety Department this weekend. ID Theft- Victim enters PSD to report unknown subject opened eight different credit cards and sent them to different apartments. NYPD took report. The issue of credit card identity theft problem on Roosevelt Island was discussed at the 1/7 Roosevelt Island Residents Association (RIRA) meeting and is one of the items that the RIRA Island Services Committee will be focusing upon. Hazardous Condition/Animal Aided- A dog received an electrical currant from a light pole. The dog was transported to an Animal Care facility. It was checked and released. RIOC personnel on scene. Con Edison shut off electricity to the light pole. The Electrified Cover Safeguard™ is the patented warning concept and technology which produces a visual and/or an audible warning to alert the public, workers, and pets of a potential electrocution hazard from stray voltage. These warnings also assist utilities and municipalities to quickly locate and repair dangerous electrified manhole covers, utility boxes and light poles. 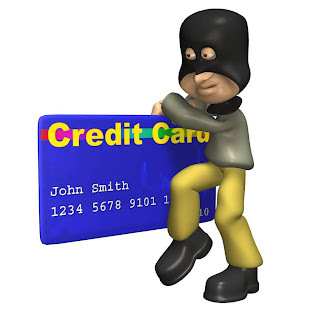 The Identity Theft caper involved a non-island resident who stated that an unknown person opened 8 credit cards that were sent to different apartments at 540 Main St. With the help of the issuing bank, he was able to cancel the cards before any charges could be made on them. NYPD also filed a report on this and the 114th Pct. Detectives are investigating further. A dog was electricuted by a 110 volt charge coming from a light-pole near the train station. The dog was immediately transported by the Public Safety Department to the Animal Hospital in Manhattan. Thankfully, the dog has recovered and is fine. Con Edison turned off the power from that light-pole and should be making appropriate repairs shortly. A Necessary Music Portrays Strange, Eerie Roosevelt Island on Film - And Wins An Award At Rotterdam Film Festival! ... won a Tiger Short Film Award at the Rotterdam film festival - began with the camera moving horizontally across Manhattan, continuing out over the water and arriving, between Manhattan and Queens, at Roosevelt island. 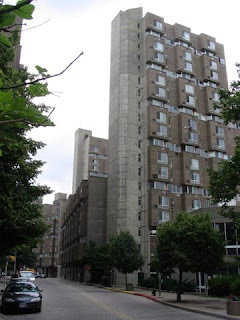 Home to the kind of historical conjunction that is god's gift to psychogeographers, the island's history combines a nineteenth century insane asylum with a little known Philip Johnson modernist social housing project. Once on the island, Gibson's moving camera became more stationary, showing a series of still, sometimes repeating shots, of the island bus station, a near empty residential street, and the view back across the water to Manhattan. It established a sense of the island's atmosphere, whilst also highlighting the formality and constructed nature of what we were seeing. Roosevelt Island became a set of carefully composed images that puzzled rather than revealed its character. Or: Roosevelt Island was filmed in a way that physicalised ideas, ambitions, and hopes embedded, say, in Johnson's social housing project. What was the audience you had in mind? I’m really not sure to be honest. i think mostly i was thinking of the islanders as it primary audience, i suppose the art world too if i’m really honest.i wanted to make a film with them and about them, that they might get something from. i think they did. the residents who acting in the film all came to the opening at the whitney and they loved it, i think it was quite special for them. we screened the film on the island as well and had a Q&A. it was an odd affair. some people hated it. they felt it completely misrepresented the island. they assumed that we would make a documentary, although we never said anything of the sort. were artists and that we had made a film about and against documentary. it caused quite a debate which was a great result, we should have filmed it really, included it. next time. On balance, A Necessary Music was an interesting film and the producers were very nice people so congratulations on their award.